Some are interested in what a celebrity wears, or a new hairstyle, or their homes. Me? I want to know what they are reading. I was disappointed but not shocked to find a lack of pics online of celebs caught reading. Mind you, I don’t want the posed pics. I want them to actually be CAUGHT reading. 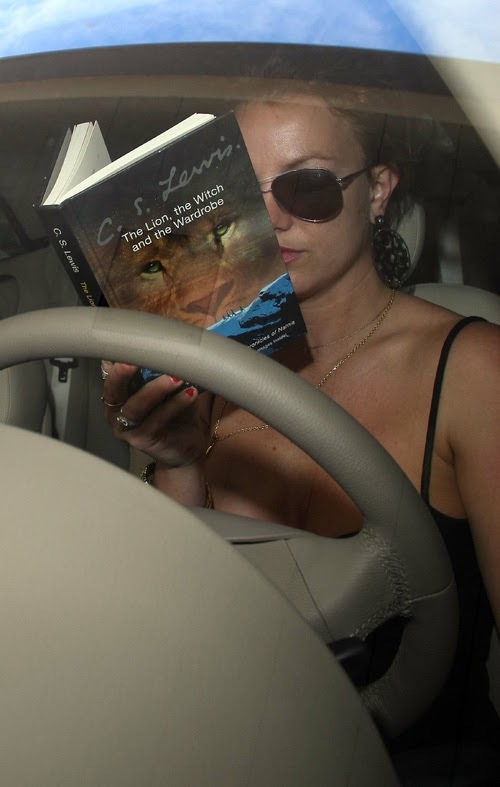 When they think no one is looking, like Britney Spears, here, reading C.S. Lewis’ “The Lion, The Witch and The Wardrobe”. I hope she read it to her boys, too. Gardiner Public Library in Gardiner, Maine used to publish a yearly list of what celebs were reading, but they retired the list in 2008. Here is one reason: “We loved doing it, but it was getting harder and harder to have celebrities respond to our requests.” Anne Davis, Director of Library and Info Svcs. Actors are “artsy” by nature and I think that instills a love for books and the art of writing. 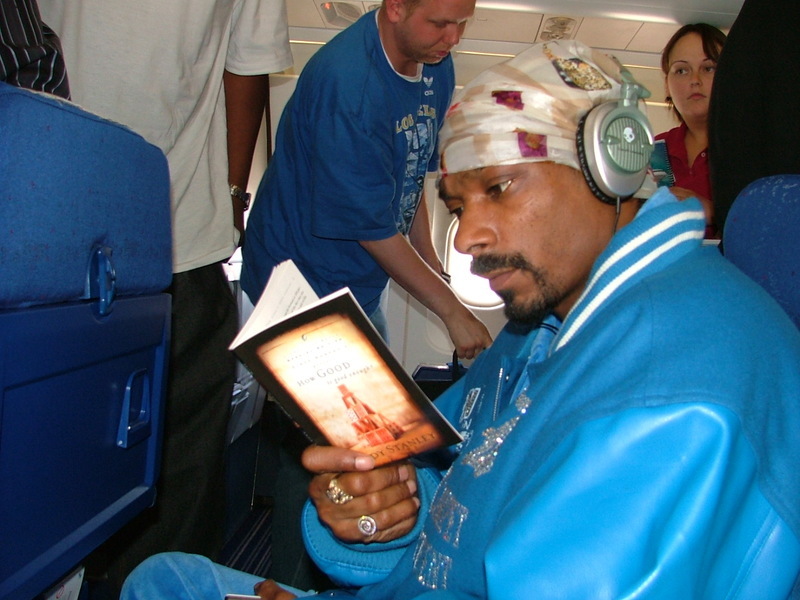 It’s good to see Snoop reading. Don’t these people realize what a statement it makes to be seen reading? Even if you don’t care for their work, you have to admit that your opinion is probably raised a bit when you see them reading. I can’t ever remember feeling that way when I hear what a celeb’s favorite television show it. Maybe it’s because I love books. I want every one to love them. I don’t love television. I like music, but I don’t care what they are listening to. Why is that? Because I love books. I want to read what others are reading and discuss it with them. I want to see what the hubbub is about with a popular book or series. I’m not sure where I am going with this other than I want celebrities to read more in public. I think that it would encourage more common folk like me to read, and I know it would put a book in the hand of more than one teen who looks up to a celeb. I’ll care what they read later. After all, baby steps.